For close to 40 years people have confidently turned to the Wren Insurance Agency for their insurance needs. The agency was established in 1979 by Skip Wren, and has since grown to become one of the largest insurance agencies in Brevard County. Today the agency is owned by Kirk and Meghan (Wren) Ball, who continue the company’s long tradition of providing cost effective insurance solutions and great client service. 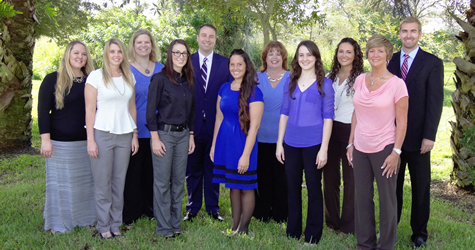 With offices located in Palm Bay and Viera, the Wren Insurance Agency serves thousands of individuals, families, and businesses throughout Brevard County, as well as the entire state of Florida. Why the Wren insurance Agency? As Floridians know, insurance rates and coverage can change dramatically from year to year. As an independent insurance agency, we represent a number of top insurance companies, allowing us to review the market on your behalf and offer options! Insurance agency mergers and acquisitions are more common today than ever before. The Wren Insurance Agency has been locally owned since 1979. With the second generation of family ownership in place, the agency looks forward to serving the community for decades to come. We are here for you today, and we will be here for you tomorrow! We strive to not only provide our clients with the best protection at the best price, we also work to build a relationship with our clients. Our goal is to get to know you BEFORE you need us, so that you have someone you can rely on when you need it. When we say “We Value Relationships” we mean it! We are located in Palm Bay and Viera, Florida.